Every January, Healthy Solutions Spice Blends hosts a recipe contest. Of course this means I can’t wait to enter. All of their products are great low salt and low sugar options, without sacrificing taste. This year I decided to experiment with the Ultimate Burger blend. While the namesake might lead you to think that my recipe entry is a juicy burger, think again! I used it to make an amazing vinaigrette to create my Ultimate Beet Spiral Salad. 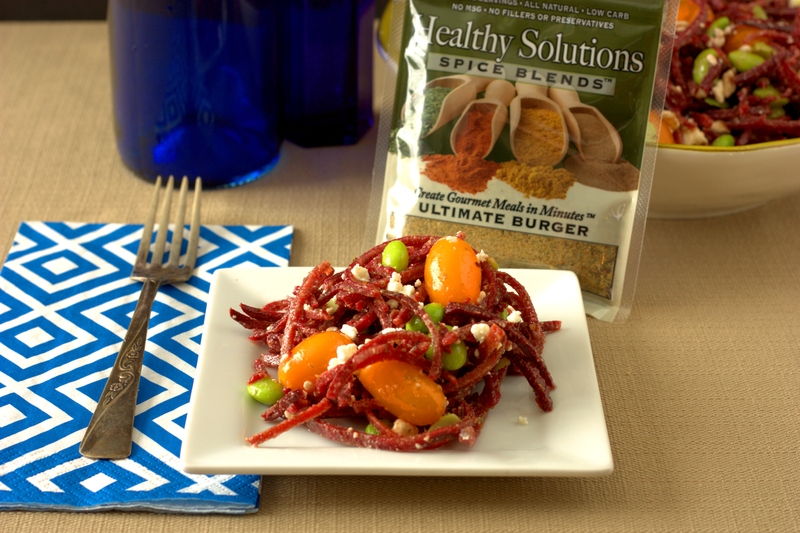 The Healthy Solutions Ultimate Burger blend is mixed with a bit of olive oil and red wine vinegar to make a well balanced and low salt dressing. 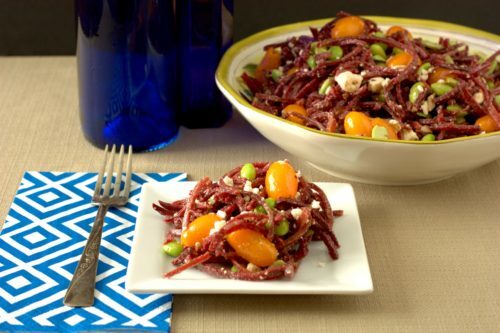 I used the vinaigrette to dress a salad of raw beet spirals, shelled edamame, baby tomatoes, and feta for a light and healthy salad that is sure to be a crowd pleaser. 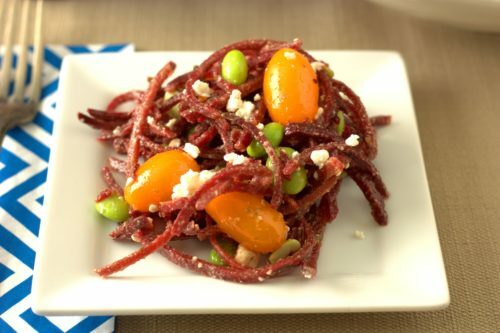 Place the beet spirals, edamame, baby tomatoes, and feta in a large bowl and stir to toss. In a separate, small container, mix together the oil, vinegar, and Ultimate Burger spice blend until uniform. Pour the dressing over the beet salad and toss to coat. Serve.